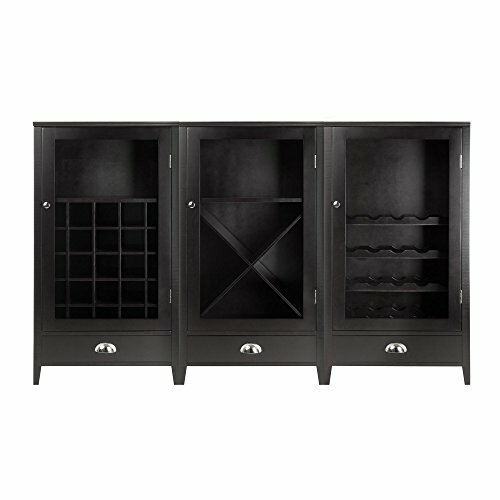 Beautiful Bordeaux modular wine cabinet 3pc set is a perfect for wine enthusiast. Create a unique combination according to your space. 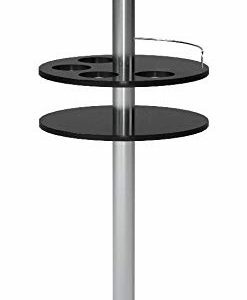 Use them all together or space them in dining, kitchen or game room. Store up to 70 bottles of wine with this combination, stemware rack and plenty of storage. Three drawers with pull out. Clear glass doors to show your collection. Made with combination of solid and composite wood in espresso finish. Assembly required. 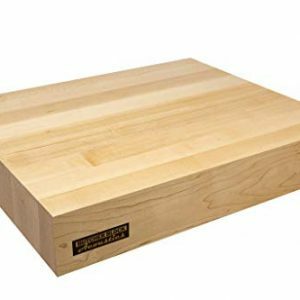 Each unit measures 22″w x 16″d x 40″h. 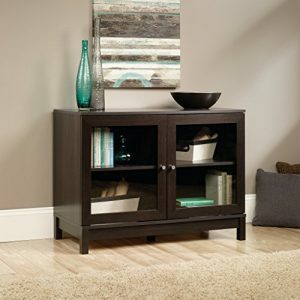 If place all three together over all size is 66″w x 16″d x 40″h.